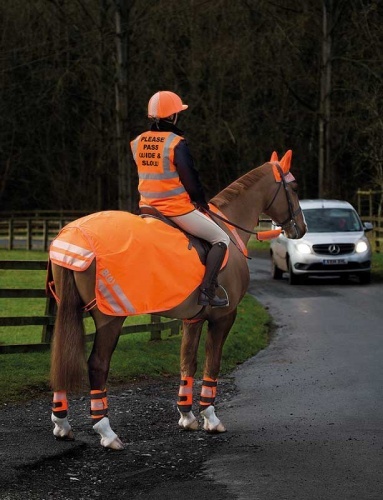 Visability range from Bridleway is the complete outfit for both you and your horse. Outfit includes the following and all items available separately. Made from quality materials in the fashionable highly visible orange.